Founded after the devastating floods in Venice and Florence of 1966 by the then Italian Ambassador, Sir Ashley Clarke, this British registered charity is now chaired by writer Jonathan Keates and is one of 50 or so clubs around the world devoted to Venice (including the New York based Save Venice). In recent years it has concentrated on small projects, chosen from a list drawn up by the Italian Ministry of Culture. Besides donations, Venice in Peril's source of income is derived from a percentage of the sales of every Venezia pizza sold by Pizza Express. All money is administered by UNESCO. So far some 600 restoration projects have been supported. 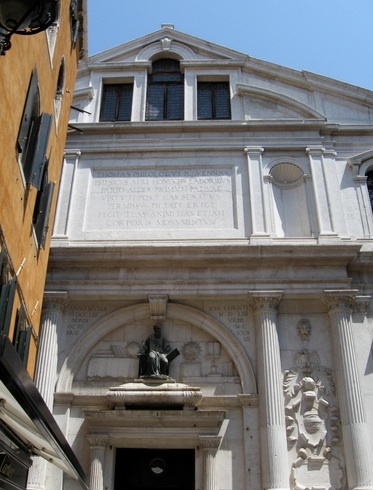 Current projects include the monument to Canova in the Frari; a 15th-century wooden crucifix in San Zaccaria; some of the reliefs in St Mark's; and the restoration of the Arsenale's iron hydraulic crane, built in the 1880s by the Newcastle firm of Armstrong Mitchell, and the only one of its kind in the world.